More recently the medicine’s reputation for treating pain gained popular response in North America thanks to president Nixon’s trip to China in 1972. A following New York Times reporter received acupuncture for post-operative care after an emergency appendectomy and was so impressed with the relief that he wrote an article about the experience. Approximately one in five Canadians suffer from chronic pain and whether internally or externally derived the many gradients of pain affect one’s quality of life. Often patients are skeptical or fearful about trying acupuncture for pain, yet curiosity prevails after “trying everything else.” This article explains why this therapy is the ideal integrative treatment for pain, and how it works according to complimentary eastern and western medicine perspectives. For example, three patients with rheumatoid arthritis (RA) may have three different treatment plans. Treatment depends on what symptoms, root causes, and information weave into each individual’s unique TCM diagnosis. Registered acupuncturists assess specific underlying patterns that may present themselves, such as yin deficiency, wind-damp-heat, or blood stasis. Within these patterns affected organ and meridian systems are also assessed. Contrarily, in western medicine three different individuals with RA may be given identical lab work and prescription plans. Note: Eastern and western medicine work very well together as complimentary therapies for chronic pain conditions such as RA and endometriosis. Registered acupuncturists (R.Ac’s) ask a lot of questions and keenly observe the area of discomfort because the more we get to know the pain, the better we can treat it! Questioning may include: the cause and onset of the pain, location, duration and frequency, type, intensity, what relieves it, and if there is referral or radiating pain. Observation, meridian palpation, and tongue and pulse diagnosis are a part of the overall assessment. All of this gives information in regards to the patient’s relationship to their pain and guides treatment style and options. Options include needle size and treatment length, and your practitioner may incorporate a variety of other TCM modalities to help speed healing, such as cupping, gua sha, tui na, moxibustion, diet therapy, and self-care guidance. With pain there is often a meridian blockage, imbalance, and/or lack of nourishment to the area. The precise location of pain is important because this reveals which meridian pathways are affected. Meridians are the conduits in the body through which electromagnetic energy (qi) and blood flows to every part of the body and through every organ and tissue. Acupuncturists choose a system of balancing meridians to help harmonize the area. Chosen acupuncture points along meridians boost the body’s innate self-healing mechanism, facilitate qi and blood movement to the area, and balance the electro-magnetic field that is involved in healing. Interestingly, acupuncturists often choose points that are far away from the exact location of pain, and even on opposite sides of the pain. We learn in TCM meridian therapy that there are meridians and powerful points on distal locations (from the elbows to the hands, and knees to the feet) that travel to distant areas of pain. Needling on opposite sides often serves as a mirror or image, effectively guides qi flow, and prevents irritating the local area of pain. "Where there is flow, there is no pain. Where there is no flow, there is pain." Now that I’ve explained how acupuncture eases pain from an eastern point of view, here is how acupuncture relieves pain according to western medicine. Pain is an electric response of inflamed or contorted fascia tissue. Fascia is a protective, web-like membranous connective tissue that runs throughout the entire body, wrapping everything from muscles, joints, and tendons, to blood vessels, nerves, and organs. It is innervated by nerves and can be referred to as our body’s secondary nervous system. Fascia’s fluid component serves as a communication network for the reception and propagation of electric nerve impulses to and from the brain. Acupuncture meridian pathways travel along fascial lines, and acupuncture points that lie along these routes contain greater concentrations of stimulatory nerve endings, receptors, electricity, and vascular structures. You can visualize fascial lines and corresponding meridians as the communication network and acupuncture points as the control centers. As needles are inserted into fascia, cell micro-trauma and nerve receptor stimulation within fascia causes the body to naturally seek homeostasis. This increases communication with the brain and creates neurochemical changes, which positively alters signals from the brain to distant tissues. Homeostasis: a relative constancy in the internal environment of the body, naturally maintained by adaptive responses that promote health and survival. Various sensing, feedback, and control mechanisms function to affect this steady state, for example heartbeat, blood pressure, and body temperature to name a few. Acupuncture needles work as internal communicators as stimulation awakens homeostatic mechanisms, innervates the parasympathetic nervous system, immune system, endocrine (hormone) and circulatory system healing. This interconnected ushering of systems disrupts pain response hyperactivity within a cycle involving tight tissue, acid sensitive nerve growth, increased lactate, low blood oxygen, and chronic inflammation (heat, redness, swelling, and pain). New research involving brain scans reveal that even after a single acupuncture session lasting 45 minutes a rapid increase in overall free opioid receptors in the brain and on the surface of nerve cells drastically rise in comparison to sham acupuncture. This gives hope for conditions involving low amounts of opioid receptors, for example with fibromyalgia there are fewer opioid receptors available which creates a hypersensitive pain response as they are less responsive to endorphins. This same study found that acupuncture “normalized the values back to healthy control levels” with results of lasting pain reduction at a three- month check-in. As needles are retained, increased circulation brings blood, oxygen, nutrients, immune substances, endorphins, and anti-inflammatories to areas of the body that require healing, and one’s biomagnetic and bioelectric energy field is regulated. Inflammatory cytokines, lactic acid, and histamine buildup are released from tissues, especially when TCM bodywork is incorporated such as gua sha and tui na. 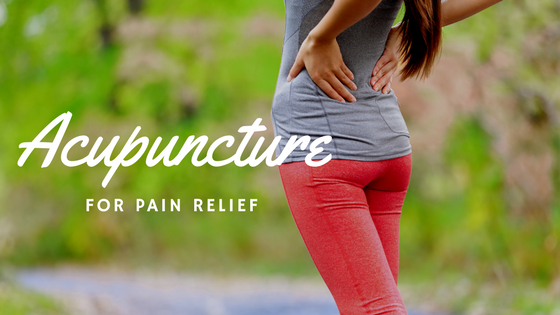 Registered acupuncturists are trained in the rehabilitation of bone and muscle pain relating to traumatic and overuse injuries. We learn motor and trigger point acupuncture, which focuses on needling specific areas of tightness, pain, and tenderness. Acupuncturists often use an electrical stimulation device (E-stim) for stubborn tight tissue. Trigger point: Tender spots can also be trigger points, which are small contraction knots in the skeletal muscle. Motor Point: A non-tender point usually in the muscle belly that is most highly innervated by motor nerves. One or two needles are inserted within the belly to cause twitch and relax. Orthopedic acupuncture is best combined with other Chinese medicine therapies, such as gua sha, tui na, moxibustion, and diet therapy, all which have similar intentions and effects as acupuncture. Our nervous and fascia systems are the main influences when it comes to needling on mirroring or imaged areas, opposite, and far away areas from the location of pain. Practitioner’s who choose these effective methods, as derived from Dr. Tan’s balance method and Master Tung points, commonly practice at a community acupuncture setting as they have limited access to body parts. The vast complexity of the systems mentioned work with meridians and points through mechanisms called proprioception, reciprocal innervation, crossed extensor responses, and peripheral nerve responses, all of which facilitate healing. The goal of the practitioner is to increase one’s duration of being pain-free, with the intention of eventually becoming pain-free, or better able to manage the ebbs and flows that arise as with autoimmune disease related pain. I recommend 2 – 4 treatments per week for acute pain, and 1 – 2 treatments per week for chronic pain. Since acupuncture is cumulative, meaning each treatment builds progress on the last, I don’t recommend leaving too much of a gap in between appointments as this will derail progression. Complimentary diet and lifestyle suggestions may include increasing antioxidant rich foods, stretching and breath-work, and hot or cold pack application. Patients can expect pain relief within 1 – 10 treatments depending on how long they’ve been experiencing it for and the intensity. Once symptoms decrease, treatments can be booked further apart. As pain disappears long-term, tune-up appointments can occur once per month to prevent recurrence. What I love about treating pain is that patients come in for pain relief and end up seeing improvement in other areas as well, such as improvement in sleep, immune strength, energy, digestion, hormone regulation, and overall sense of well-being. If you have any further questions about pain and how acupuncture can help I’d be happy to answer through email at innerpassacu@gmail.com. Please visit www.vcaspa.com to book online or call 250-590-4341. To learn more about my acupuncture practice, follow @hayley_stobbs on Instagram. For fans of livin' it up (Holistic Medicine style)! Sign up here to receive newsletters highlighting all things holistic & healthy.